In Scripture, the first thing angels often say is, “Do not be afraid.” That makes sense since they are described in bizarre and terrifying ways: with multiple eyes and wings, or as flame, or as strangers who deliver messages that totally disrupt lives and challenge one’s understanding of God. Sometimes, yes, they show up with good and glorious news: Jacob saw angels as messengers moving on a ladder stretched between heaven and earth, and the psalmist says that angels will carry us in their arms, and angels announced the Messiah’s birth to startled shepherds, and angels ministered to Jesus in the wilderness and in Gethsemane – and I desperately want angels to surround and protect my children and grandchildren for ever and ever. Serving eight years as a pediatric hospice chaplain and seven more at the prison keeps me from expecting Guardian Angels to prevent horrors from happening. But even (perhaps especially) with dying children, there is often a sense of spiritual depth and courage way beyond their years, as if, even on that final journey, they are surrounded by divine companionship which one might call angels. Just months before his death, a 13-year- old rewrote the opening of the 23rd psalm to read: “The Lord is my shepherd; he makes me feel safe.” And an inmate wrote a prayer that echoes psalm 91: “Keep your hand on my shoulder and always guide me. Walk with me during this winding journey. Please carry me as only you can through these dark waters.” Separated by years and bars and death itself, these two people nevertheless articulated a felt sense of companionship with the Holy. Angels ministered to them, even in their own Gethsemanes. So yes, I find myself willing to say that angels do accompany our children, although I also know such companionship doesn’t mean guaranteed safety (I wish it did). Nevertheless, that companionship, that “being-with-ness,” can be so important for children to know. 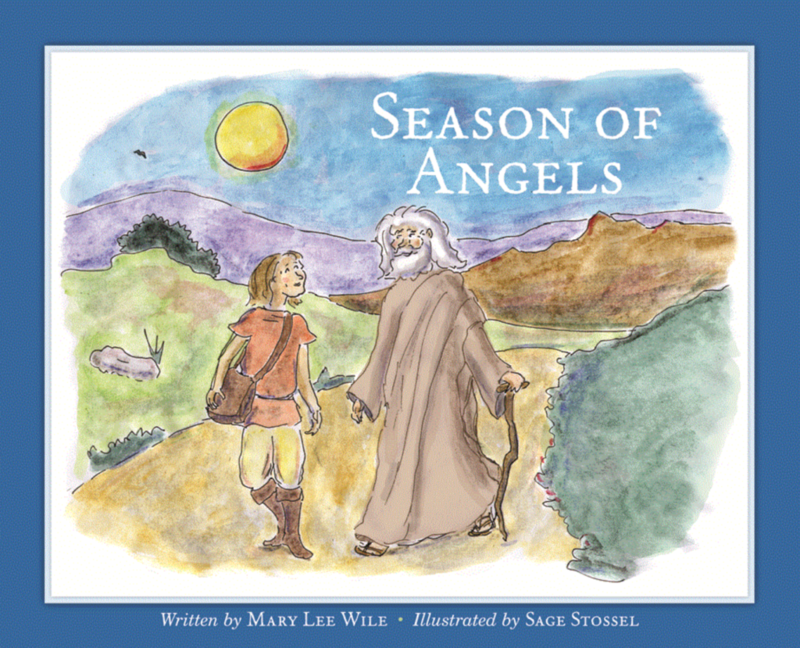 I stand by the closing lines of Season of Angels: “Whenever you are set a task to do, a Guardian Angel walks the road with you” – wherever it might lead. Editor’s note: The first image in the post has been corrected due to the help of a reader (below). How have angels been meaningful to you? 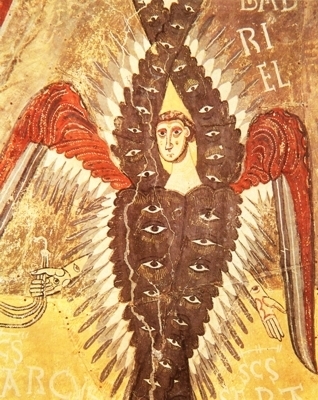 The image you have posted is of the four evangelists (though John who is usually depicted as an Eagle almost looks like a raven in this image) rather classical angels like Gabriel. That being said the four gospellers certainly are depicted with wings and definitely bring messages that meet the above criteria. Mark appears as a winged lion and Luke as a winged ox or bull. Matthew is depicted as a winged man or angel. Thank you for the correction on the image! It’s my responsibility not Mary Lee’s. It showed up in a search for publicly available images for “cherubim angel” and I used it without thinking critically enough. Of course you are right! I’ll see what I can do.